There are a million fish in the sea. So be a mermaid. 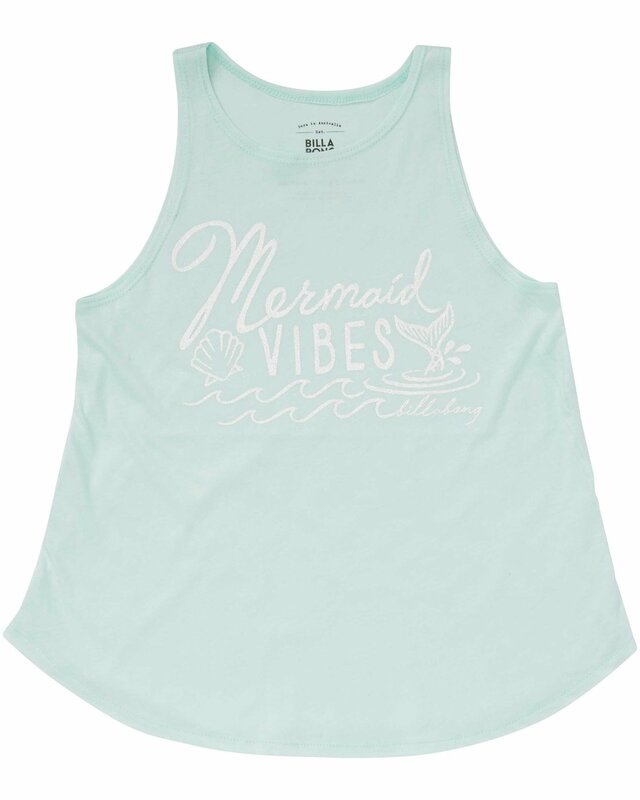 “Mermaid Vibes” artwork is printed onto a girls tank top, featuring an A-line “swing” cut with a rounded hem and high neck. Mermaid Vibes script print at chest.